Doc Severinsen Returns June 2017! Doc Severinsen will perform with the Kansas City Symphony on June 8, 2017, in Helzberg Hall at the Kauffman Center for the Performing Arts. 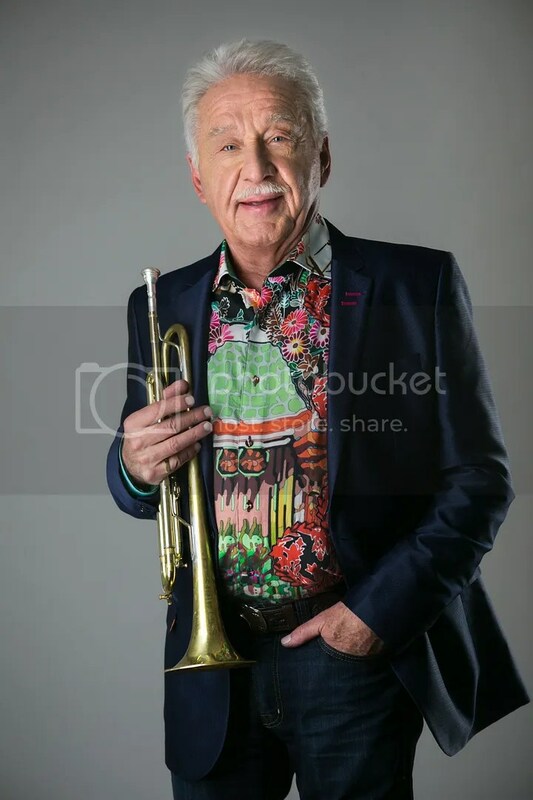 Legendary trumpet player and former bandleader of “The Tonight Show Starring Johnny Carson” Doc Severinsen returns for his second appearance in back-to-back seasons with the Kansas City Symphony. In celebration of his 90th birthday, he will perform with the Symphony at 7 p.m. on June 8, 2017, in Helzberg Hall at the Kauffman Center for the Performing Arts. In the coming “Here’s Doc!” concert, Severinsen will present his take on hits from the American Songbook and Big Band eras while sharing stories from his incredible 70-year career. The lineup includes favorites such as “Summertime,” “September Song,” “Smoke Gets in Your Eyes,” “I’ll Be Seeing You” and “I Got it Bad (And That Ain’t Good),” plus several special surprises. Severinsen previously appeared with the Symphony for a sold-out, holiday-themed concert called “Jingle Bell Doc” in December 2015. Currently, season subscribers can add on the Doc Severinsen concert to season packages. Concert tickets range $49-99. In July, single tickets will go on sale to the public. For more information or to add-on tickets to a season subscription, please visit kcsymphony.org or call the Kansas City Symphony Box Office at (816) 471-0400. 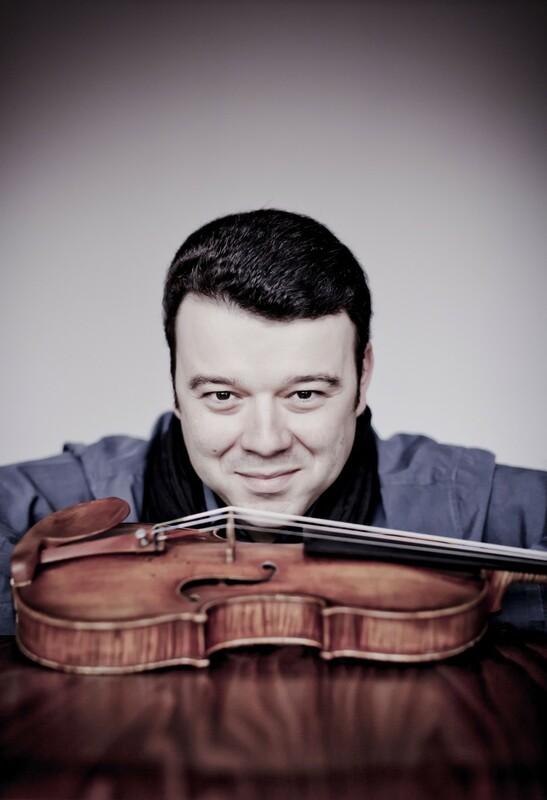 Guest violinist Vadim Gluzman appears as soloist with the Kansas City Symphony Feb. 5-7 to perform Brahms’ Violin Concerto. Visit the concert listing page for more information on programming and tickets. What are you most looking forward to in your upcoming performances with the Kansas City Symphony in Helzberg Hall at the Kauffman Center for the Performing Arts? Return engagement are always very special for me and coming back to perform with an orchestra which I know and like very much, working with a conductor with whom we truly speak the same musical language is a great pleasure and a privilege. Working with Michael Stern has always been a special experience — he is a musician of incredible depth, artistic honesty and one of the most sensitive partners — a real inspiration! And of course to make music in the spectacular Kauffman Center — an absolute joy! What do you love about the Brahms Violin Concerto? Do you have a favorite part or movement? If so, which one(s) and why? Brahms concerto is one of two or three perfect masterworks in the violin concerto repertoire, a real Mount Everest. The challenge is humongous, but the rewards — artistic, musical, emotional — are just as incredible. Every note in this piece is “gold,” and pointing at one part as my favorite is really impossible. But if I were to draw the attention of our audience to one of many special moments — listen to the very end of the violin cadenza the way the orchestra joins in — as close to heaven as we will ever get!!! What was your path to becoming a professional violinist? Did you always know you were destined to make music your career? I had the most amazing teachers — Arkady Fomin, Dorothy DeLay, among others. I also was fortunate to work with Isaac Stern and Pinchas Zukerman, and later to perform with some of the greatest conductors of our day. They helped shape my musical vision, gave me confidence and inspired me to continue on my path. What advice do you have for young musicians hoping to improve their ear or performance? Listen to yourself, listen to your colleges, friends, teachers! Listening is the greatest tool, the greatest way to learn and improve. Playing and studying chamber music in depth for me is single most important part of becoming an all-rounded musician. What’s next for you after Kansas City? Right after I perform in Kansas City, I continue to New Orleans to perform with the Louisiana Philharmonic and Carlos Miguel Prieto, a special performance with the Orpheus Chamber Orchestra in New York, followed by a European tour. Some important highlights this season are a recital in London’s Wigmore Hall, premiere of new violin concerto of Lera Auerbach at the Proms, a residency at Colorado Music Festival and a tour in Australia. To hear guest violinist perform Brahms Violin Concerto with the Kansas City Symphony under the baton of conductor Michael Stern, call (816) 471-0400 or select your seat online. The program also includes Beethoven’s Fourth Symphony and John Adams’ The Chairman Dances — Foxtrot for Orchestra. Tickets start at $25.